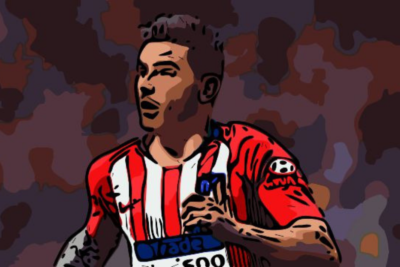 Earlier last week it was announced that German giants Bayern Munich completed the signing of Lucas Hernandez from La Liga club Atlético Madrid for an approximate fee of £68 million, making him the second most expensive defender in the world, and the most expensive in Bundesliga history. The French defender has been at Atlético Madrid since his youth days and has made 110 senior caps for the club since 2014. 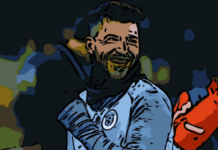 This tactical analysis will look at his strengths as a defender and what he’ll bring to Bayern Munich next season and whether we will be seeing www.online-betting.org drop their prices on Bayern winning next season’s Bundesliga as a result. Whether Hernandez plays as a centre back or as a left back, one of his main strengths is his positional awareness. 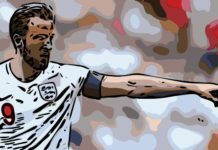 He is rarely, if ever, caught out of position, and times his tackles perfectly, to ensure that they are clean and that he parries away the danger. 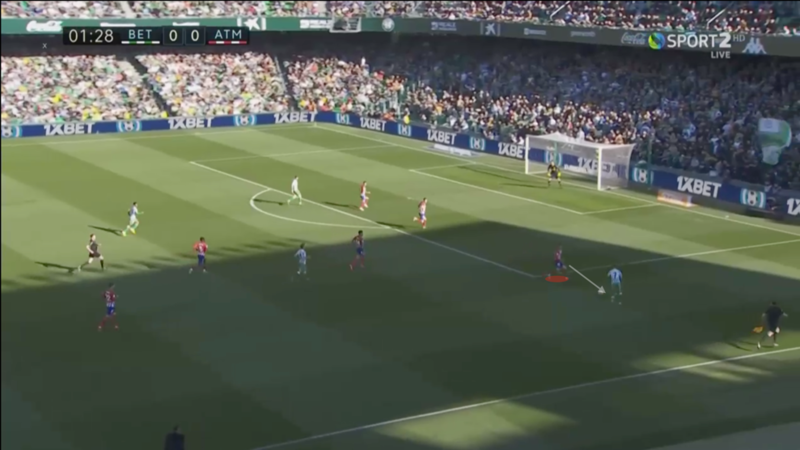 During Atlético Madrid’s match against Real Betis, he showed this quality perfectly. Hernandez allows the ball carrier space as he was not a threat in his current position with the ball. Hernandez positions himself so that if the ball carrier tries to pass it in the space behind him, he can cut off the winger easily. Once the ball goes out wide, he quickly closes in on the attacker, allowing him little time to think of his next play. The attacker takes too long and Hernandez uses the opportunity to perform a simple, clean tackle, and avoid conceding a goal. His positional awareness allows him to rarely have to commit to a tackle or a block during a match. He only commits 1.12 fouls per 90 minutes which is quite low for a defender. To compare, he betters Napoli’s Kalidou Koulibaly whose rate is 1.31 fouls per 90 minutes and Juventus’s João Cancelo whose rate is at 1.35. His positional awareness also allows him to cut off passing lanes quickly, and reduce the threat. He knows when to back off and when to close defenders down. His speed also allows him to get back quick and deny threats. Here, Hernandez is able to recognize the danger and get into a 1 on 1 race with the attacker. 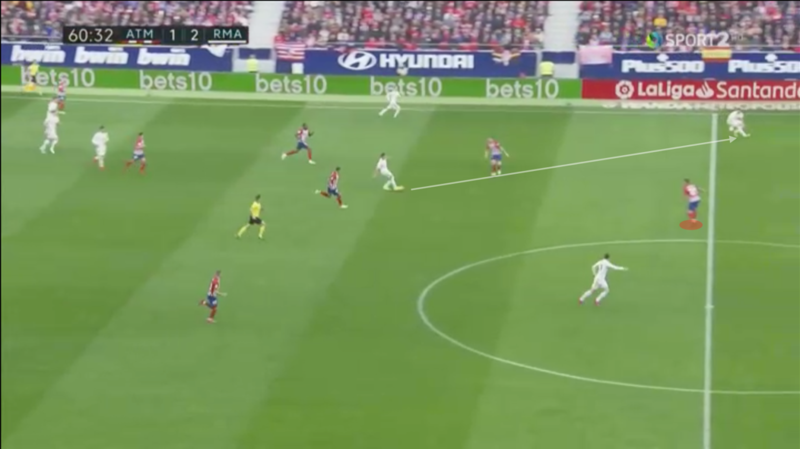 He beats him to the ball and allows it to roll out, giving Atlético the advantage of possession. Hernandez also shows capabilities of covering for his teammates. Here his teammate makes a mistake and loses possession in a very dangerous area, near the penalty box. Hernandez then bends his run ensuring the attacker gets cut off. He is able to time his tackle and the ball goes out for a goal kick. During this game against Getafe, Hernandez had 5 interceptions and 6 recoveries, all without committing a foul and keeping a clean sheet. Atlético Madrid won the match 2-0. The modern fullback has recently evolved to be able to not only defend but to also move forward and help attack and create. 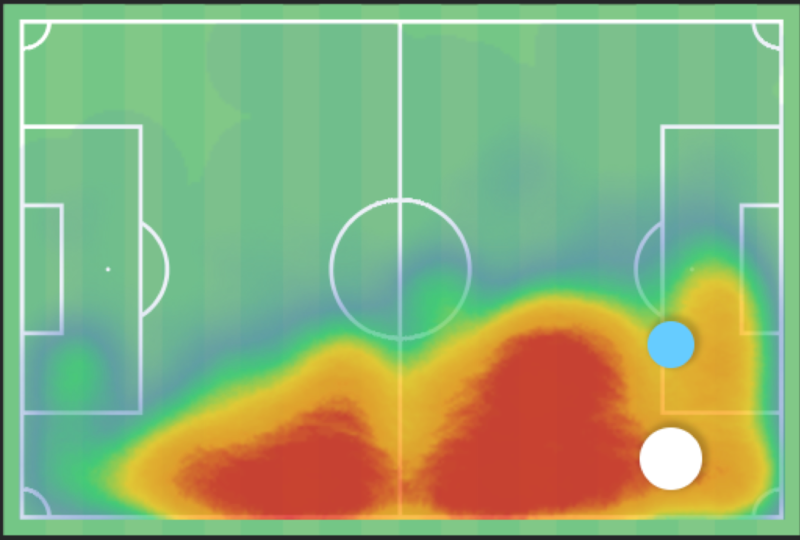 Hernandez’s heat map as a left back showcases that he is capable of fully going up and down the pitch, depending on the play. 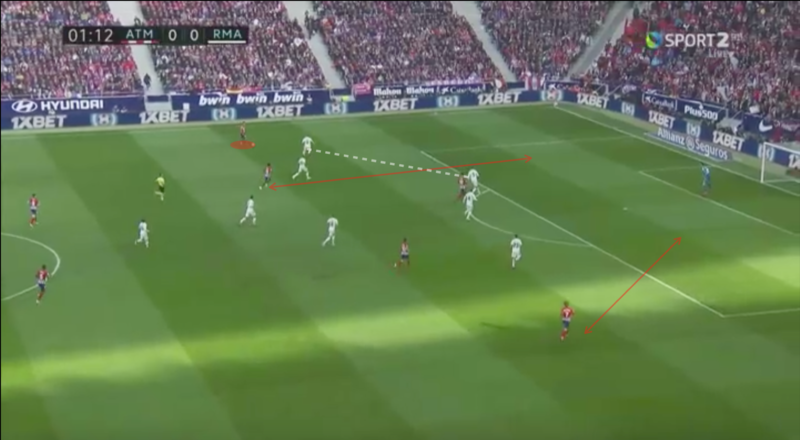 When deployed as a left back, Hernandez is seamlessly able to quickly transition from attack to defence, and vice versa. 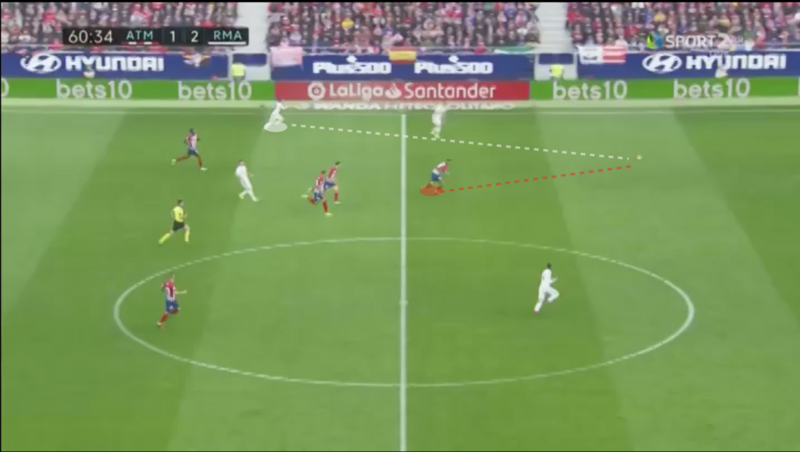 This is such an important skill to have in a modern full-back, as even though they are tasked with attacking, they must be careful not to get caught out of position. Hernandez’s transitions also allow his team to perform quick counter-attacks at pace. 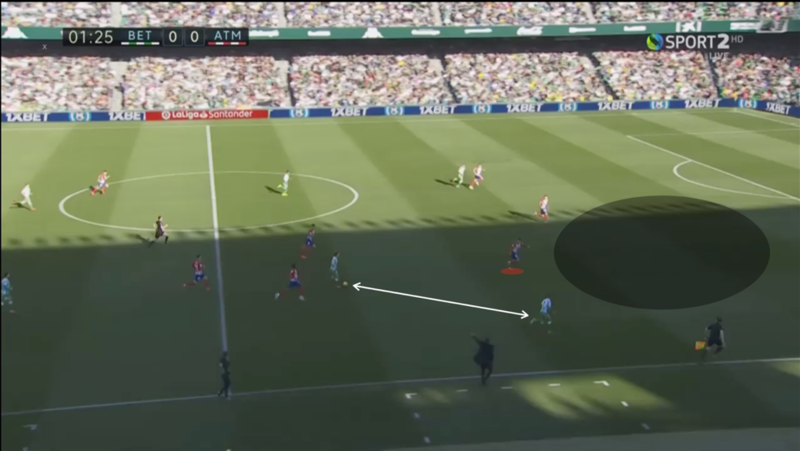 Here, he is able to win a 1vs.1 with an attacker and he regains possession for his team. He then notices the spaces left behind Real Madrid’s defence and makes a run into space. He does not receive the ball, but his fast transition play allows for quick counters before the opposition can organize their defence. Full backs providing width in the attack are crucial against all teams, but especially against organized, and well-drilled defences. 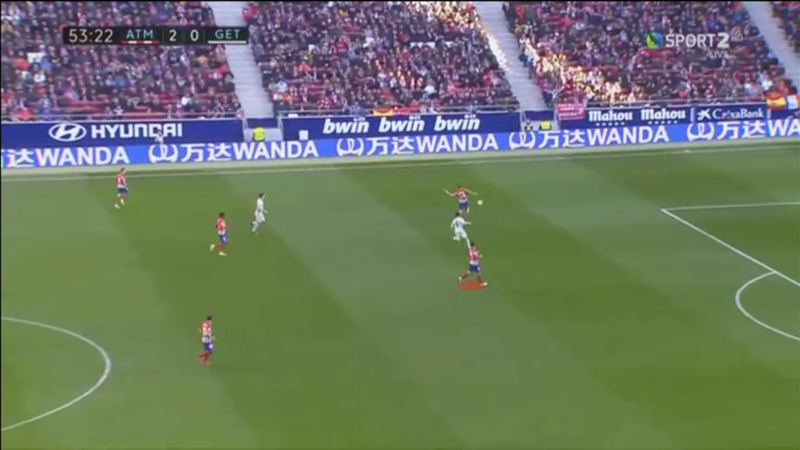 Here, Hernandez spots the space behind Real Madrid’s defence and decides to drift forward. 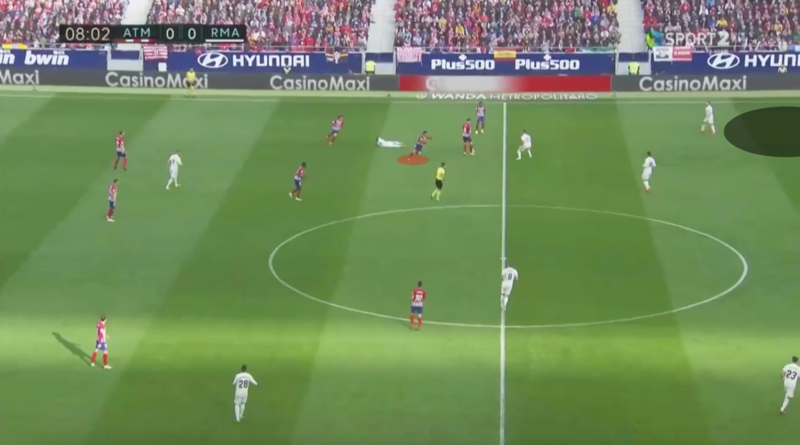 Hernandez receives the ball, and Real Madrid’s defence instantly stretches, making the defensive line disjointed. 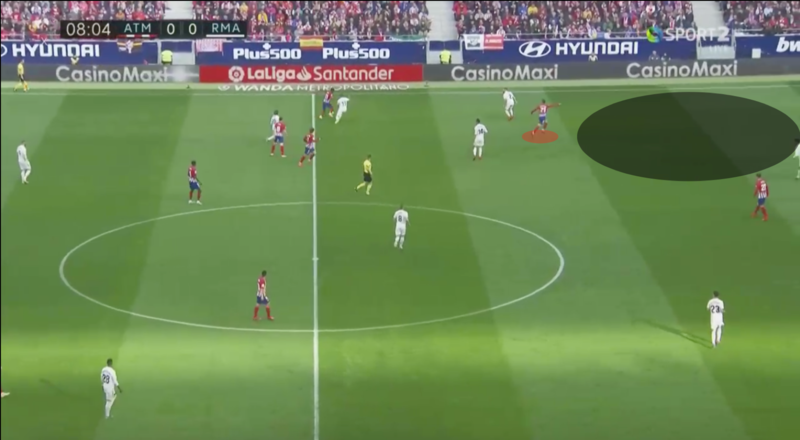 Gaps are created and there is space for Atlético Madrid’s attackers to run through on goal. 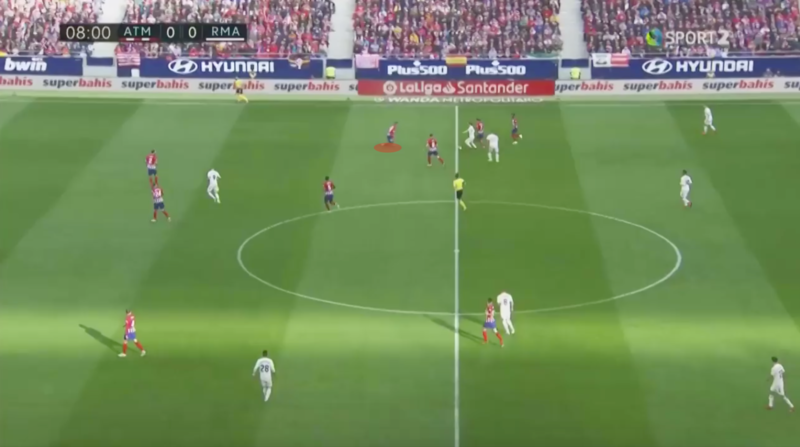 The width allows Hernandez to put crosses into the box, and create more chances. He has averaged 34.88% successful crosses this season. Out of all the top fullbacks in the world, only Jordi Alba betters this record. Hernandez is notably above Andrew Robertson at 28.99% and David Alaba at 33.66%. Bayern have had a very up and down season, and questions around Niko Kovač have started to surface. However, whether Kovač will be the one coaching Hernandez next season is irrelevant, as he has all the tools to succeed at his new club. If he had stayed at Atlético, he would have most likely replaced Diego Godín, who looks to be near the end of his career. Bayern Munich has two ageing centre backs that have looked past their prime for a few years now. Hernandez would fit in perfectly with Niklas Süle, a centre back pairing Bayern could have for many years. It is convenient that Süle is right-footed and Hernandez is left-footed, and both would be able to balance each other out. Hernandez would also have plenty of opportunities to play left back, allowing Alaba some rest. If needed, he can easily fit in a back three, either as a centre back or as a left wing back. At 24 years old, the future is bright for Hernandez, and Bayern Munich will be the perfect opportunity for him to further advance his skill as a defender.